while this second one is one inch postage stamp blocks, quilted at two inch intervals. I tried it in this spotty pink fabric first, and decided quilting at half inch was too much. It may be that the small squares and the quilting is too much, but it's get auditioned at the end and we'll see. 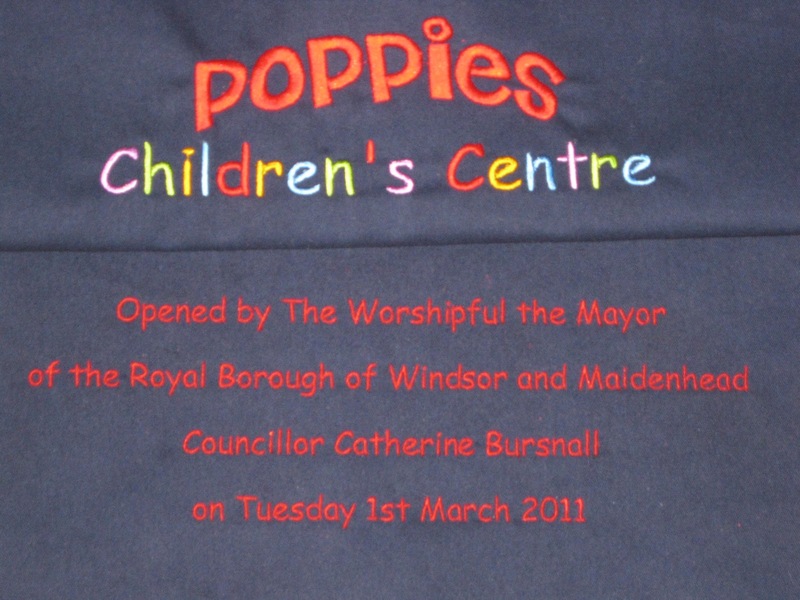 Today I was helping at Poppies Children's Centre. I forgot to take a photo of the completed Opening Ceremony Plaque, but it looked good, and Louise, the manager, was really pleased with it. I cant be there tomorrow afternoon, but I painted this field for them to use as the background for the craft session with the great and the good tomorrow, and finally found a way for Kate to make the concave petals. I also got told that the notice board was mine to liven up! I'd made some felt poppy drawing pins, and used their borders to make a patchwork effect, and sugar paper to make 'grass'. As I left, Kate was cutting cloud shapes to go on the red to display photos. I still have three bags of fleeces to do for Suzanne, but they can be done later in the week - now I'm off for a bath and then my bed! You deserve a little pampering after all that! Good going! Hi Benta! I think your days are quite exiting with different kind of creative matters! I'm happy you can use your talent in many ways!